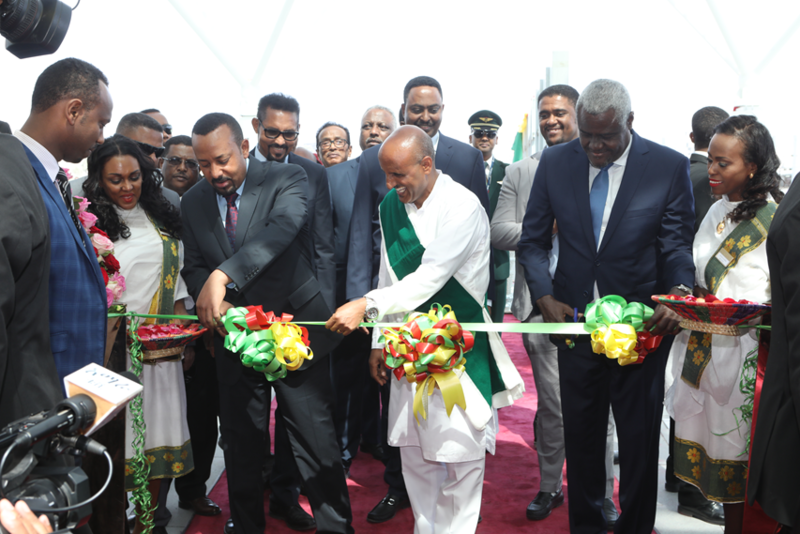 Ethiopian Airlines has inaugurated state-of-the-art passenger terminal and its Skylight Hotel recently in the presence of FDRE Prime Minister H.E. Dr. Abiy Ahmed, African Union Chairperson H.E. Mr. Moussa Faki, Ministers, high level government officials, Ethiopian Airlines Board Members, Group CEO Ethiopian Airlines Mr. Tewolde GebreMariam, Executive Management Members and invited guests. Ethiopian Skylight Hotel has 373 guest rooms and spacious executive suites, the largest Chinese restaurant in Africa and a conference hall that can accommodate 2500 people, among others.